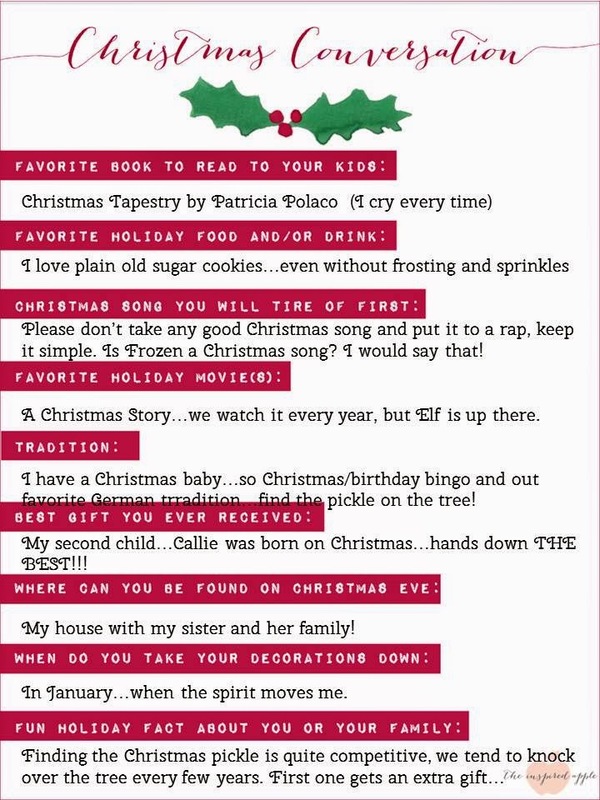 I am linking up with Babbling Abby over at the Inspired Apple to have a little Christmas Conversation! Happy Holidays, Bloggers! I hope your Christmas is filled with family, fun, and peace!